These days, more people are seeing the advantages of taking a technical course after high school in order to start work. Not only do students save time and money compared to four-year degrees, they also get to start work faster, enjoy a high starting salary, and become part of a work force that needs their skills badly. Most students who enrol in technical courses like HVAC technician training enjoy a steady stream of clients with a company or freelance once they graduate. 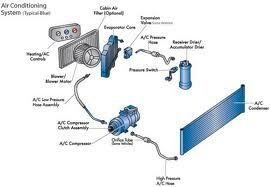 HVAC technician training is essential for anyone looking to make a career out of this course. Proper training before licensing and certification is mandated by the state of Oklahoma. Various training institutes, colleges and universities now offer HVAC training courses at reasonable tuition price points. Some even allow students to specialize in certain aspects of HVAC, which usually gives them an edge when it comes to client and company trustworthiness. 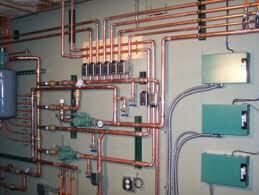 HVAC training is usually divided into two: lecture hours and internship hours. It should be noted that in technical courses like HVAC, internship hours are essential because it helps students cull experience they need while making important connections in the industry. Most schools will require no less than two thousand hours of internship training with a reputable company within the state. For prospecting students interested in making a career out of HVAC, the following schools may be helpful in determining the best course to enroll in. Some of these schools may offer assistance with licensing and certification with the state upon completion of the course. HVAC technical schools in Arkansas provides the same opportunity for their students too. Caddo-Kiowa offers HVAC courses to Oklahoma residents, at very flexible terms. Not only do they have short courses and evening classes to cater to those who are shifting careers, they also have various specializations available to those who want to find their HVAC niche. CV Technology Center is conveniently located in El Reno, Oklahoma and Oklahoma City. They offer the basic HVAC course, and will assist students with licensing and certification upon graduation.